Incredible, huge statue by artist Romero Britto. 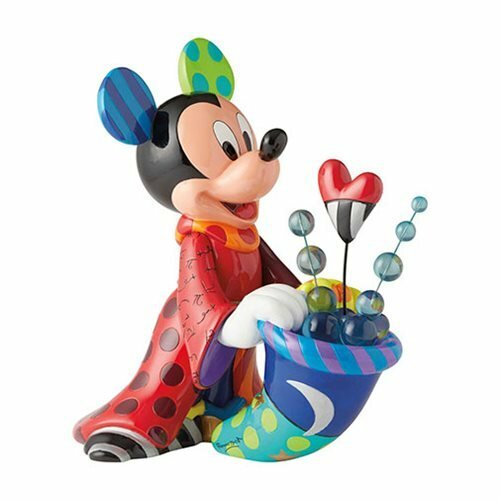 Measures about 15-inches wide x 14-inches tall x 8 1/2-inches long! 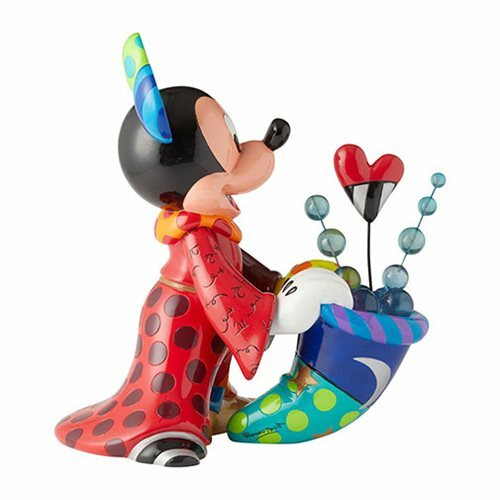 Arguably even more magical than he was in the film, Mickey shows off his skills in this marvelous Disney Sorcerer Mickey Mouse Big Fig Statue by Romero Britto. He's huge, too. 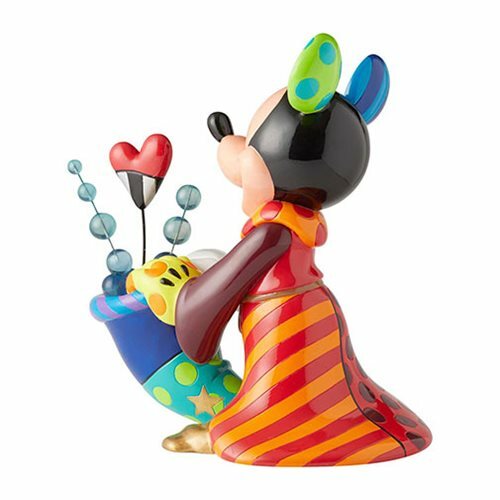 Finely crafted of polyresin and calcium carbonate, Mickey measures approximately 15-inches wide x 14-inches tall x 8 1/2-inches long!